We offer a unique Total Waste Management Solution providing industry & commerce a nationwide collection service and a sustainable licensed recycling solution with full traceability for all your waste. Established in 1980, the WasteCare Group offer a unique recycling and waste management service that enables waste producers, from all industrial and sectors, to manage their hazardous and difficult waste, from collection to recovery regardless of the type, volume or location. With 12 regional recycling centres and a fleet of over 150 collection vehicles, we are a national recycling management company that is local to you. Every business is different and waste is complex, this is why our experienced team works closely with you to understand your unique waste management requirements. We provide specialist advice, understand your challenges, and provide you with a dedicated Account Manager who will handle your waste and recycling needs. Select your industry from the drop down below to get started, and find out how we can help your business. Because we understand your industry we can give specialist advice, we understand your challenges so you only ever need speak to one person for all your waste and recycling needs. Backed by our qualified Technical Team we can provide you with technical advice on site or over the phone. 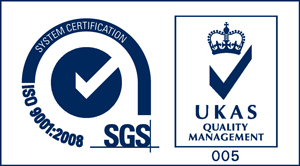 This includes DGSA support, packaging, labelling, storage and handling advice. Select a Waste Type from the drop down below to get started.